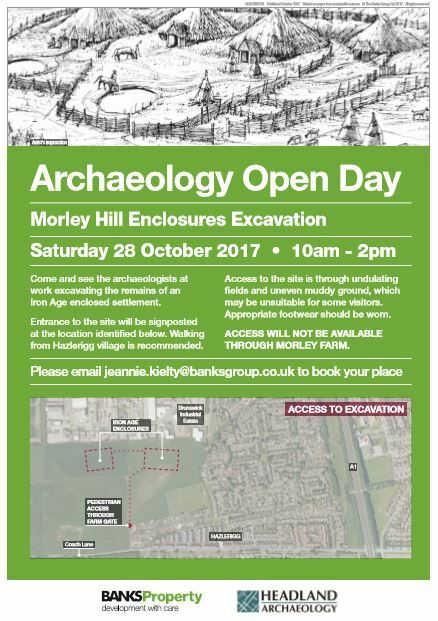 Another open day – Morley Hill enclosures tomorrow! We covered an open day for the Roman bath house at Carlisle earlier in the month, here is some last minute news of an open day on a prehistoric site in North Tyneside tomorrow for you! More news to come next week. 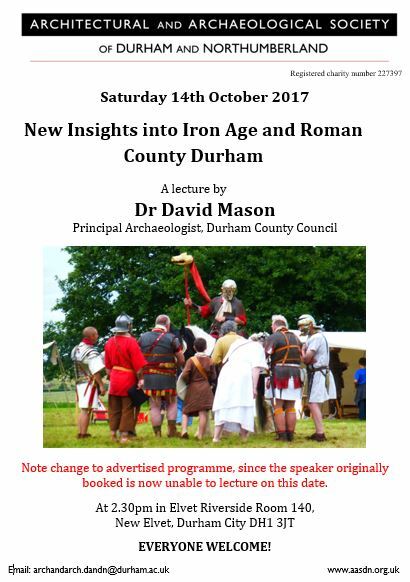 This entry was posted in E Newsletter and tagged excavation, Iron Age, Newcastle, North Tyneside, Open Day, Prehistoric, Roman, settlement on October 27, 2017 by cbanorth. Fieldwork may have slowed for the summer, if not stopped. Events, however, continue apace across the CBA North region. Last week saw the start of the Border Archaeological Society’s fresh season of lectures, this week sees other regular lecture series from the Appleby Archaeological Group, Northumberland Archaeological Group and Coquetdale Community Archaeology. 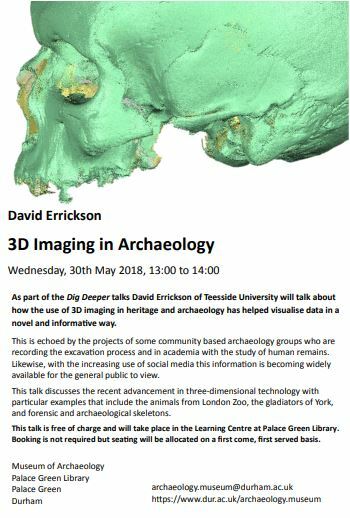 This week, and indeed the weekend, alone the very range of local events with topics ranging from prehistoric Japanese obsidian mines to Roman Scotland in the east of our region, whilst another talk and conferences look at more local matters in the northwest on Medieval grave slabs and recent archaeological work in the Lake District. Before all those listings, however, we’ve a short article upon the CARD Fund which might be of use to some of you if your fieldwork has now finished. 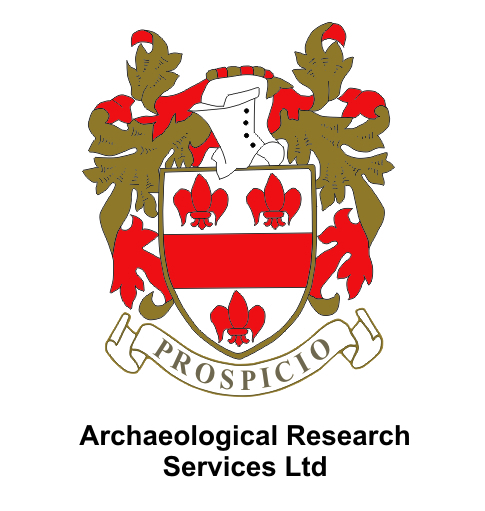 “The Community Archaeology Radiocarbon Dating (CARD) Fund was established in 2016 and is funded by Archaeological Research Services Ltd and the SUERC Radiocarbon Dating Laboratory. The fund supports the full cost of radiocarbon dates for community archaeology groups or projects. The fund is not open to universities, students, professional archaeological organisations or large national charities. It is directed specifically at community groups and volunteer projects seeking to obtain radiocarbon dates on key samples from sites they have investigated. For 2017 we will fund 10 to 20 radiocarbon dates. The application is straightforward and is all undertaken on-line. Please visit www.cardfund.org for more information and to apply. In 2016 the fund supported 7 projects and funded a total of 14 radiocarbon dates. The fund is open to applicants from across all of the UK and the closing date for applications each year is strictly 30th November. An applicant does not have to pay for the dates themselves as this is all done by ARS Ltd when we receive the dating samples. 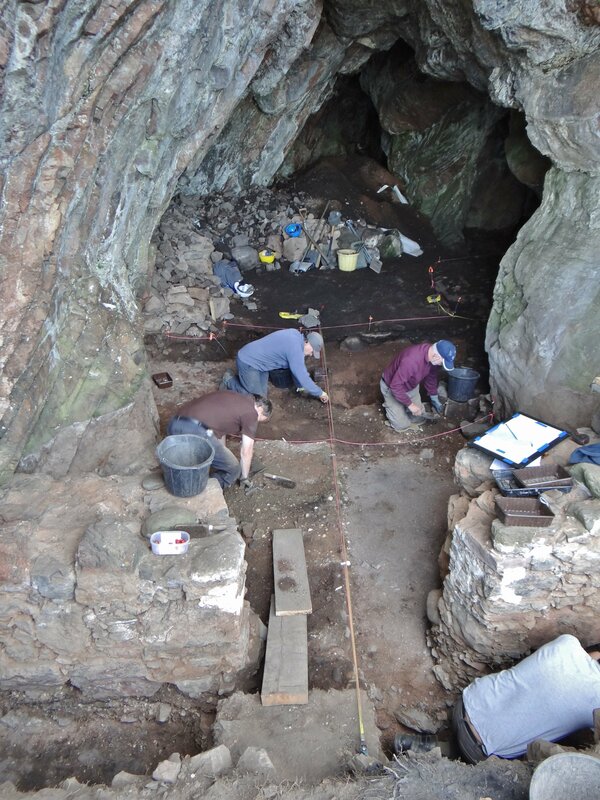 Two recent projects helped by the fund range from Chewton Mendip, Somerset, where Anglo-Saxon industrial activities dated and the Rosemarkie Caves on the Black Isle, on the Moray Firth, Highland. Here also the fund was used to date metal-working activities in the caves, as well as a 6th to 7th century (Pictish) burial. As yet, Clive notes, nowhere in the CBA North region has featured in applications to the fund. 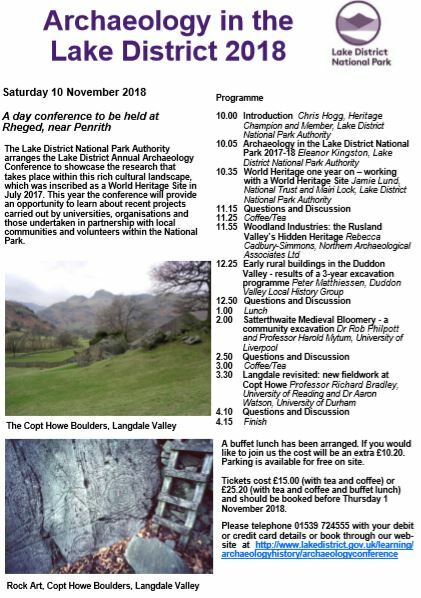 The next summary of archaeological events this year takes place for the Lake District National Park. This year has seen a number of changes – not least of all World Heritage Site status for the area, as well as staff changes also. 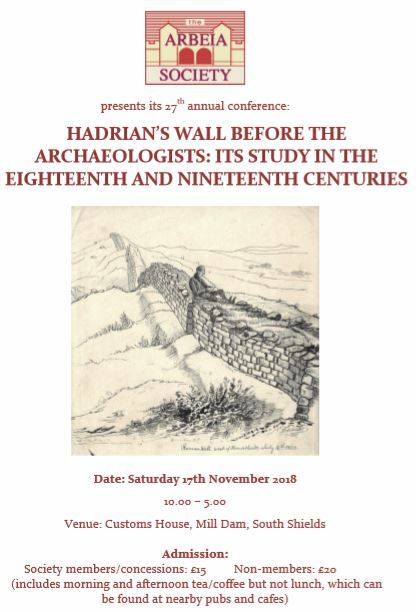 The conference at Keswick this year includes a varied set of talks with a summaries of the Lake District’s archaeology over the past year as well as since the appointment of the first park archaeologist, accounts of recent survey and excavations of Medieval longhouses as well as recent re-evaluation and radiocarbon dates for the area and county more generally. The full programme, as well as details for tickets can be found in this webpage. Here’s a list of the other events happening this week – indeed starting tonight! Details as to venues and times can be found on the Local Societies and Groups page of our website. Please feel free to know us any additions to our Events page (increasingly we are hearing of 2018 events which we are gathering up for the start of the year) and for any groups that you know that wish to be included in our listing. 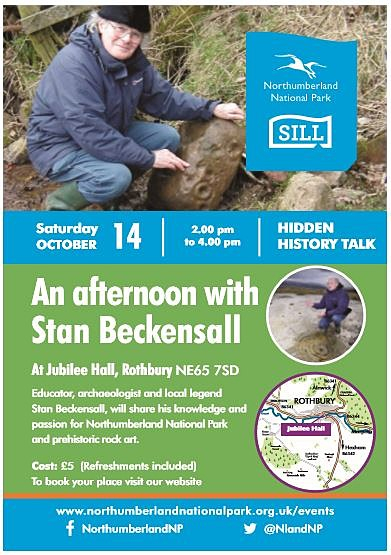 This entry was posted in E Newsletter and tagged AASDN, Appleby, CCA, excavation, fund, Iron Age, Lake District National Park, lecture, Medieval, Military, Mining, Northumberland, Prehistoric, Roman, Scotland on October 11, 2017 by cbanorth. Today’s email title sounds like the cabbages and kings of the walrus in Lewis Carroll’s The Jabberwocky, but it is so this week. There are a pair of two lectures that we know about this week – both at the northern edge of our CBA North region. But both have stories to tell beyond their immediate area and internationally so. The next lecture of the Border Archaeological Society lecture is tonight at 7.30pm at Berwick Parish Church Hall, Berwick, on The Needles Eye Enclosure: salt production in the Late Iron Age by Jenny Proctor. This important site was partly excavated to reveal an extensive, and well dated, settlement dating from the late 4th century BC to the Romano-British period. The site takes its name from the Needles Eye rock arch in the cliffs shown above. The excavation of this site currently provides the most northerly evidence of salt production in prehistoric Britain, but more regional links with the Cheviots are also hinted at. All will be explained tonight. 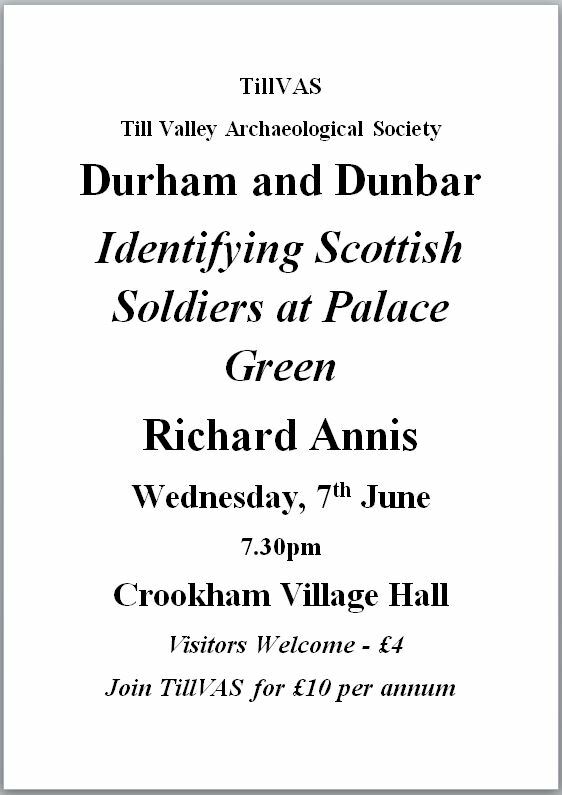 Also this week is the next lecture of the Till Valley Archaeological Society which is also at 7.30pm at Crookham Village Hall, though this is on the Wednesday night. This talk will also highlight further national – and indeed international – links of events that happened in our local area. We’ve covered earlier some of the earlier events on these soldiers at Durham. 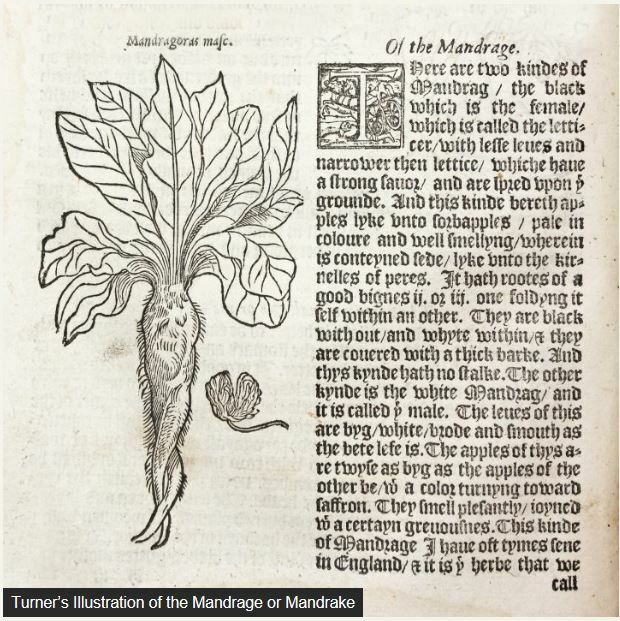 Further information on this project, and the range of work carried out, can now also be found here. Details for both groups can be found through the Local Societies and Groups page of our website. 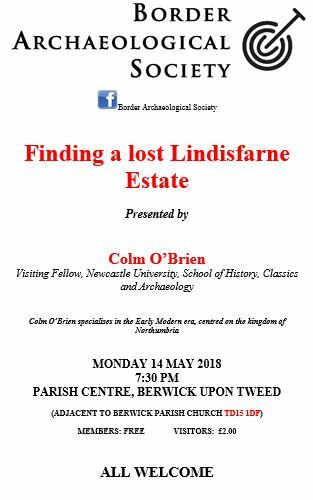 This entry was posted in E Newsletter and tagged BAS, Berwick, Civil War, Durham, excavation, lecture, Post-Medieval, Prehistoric, Roman, TillVAS on June 5, 2017 by cbanorth. Now well into February, we are well into the programmes of the local groups and societies all across the CBA North region. As you will recall we cover everywhere between the Scottish Border south to Lancashire and Yorkshire (are we the only thing that would unite those two historic counties so flippantly?). Today we have notices for a variety of landscapes across the CBA North region (and a bit beyond as well). 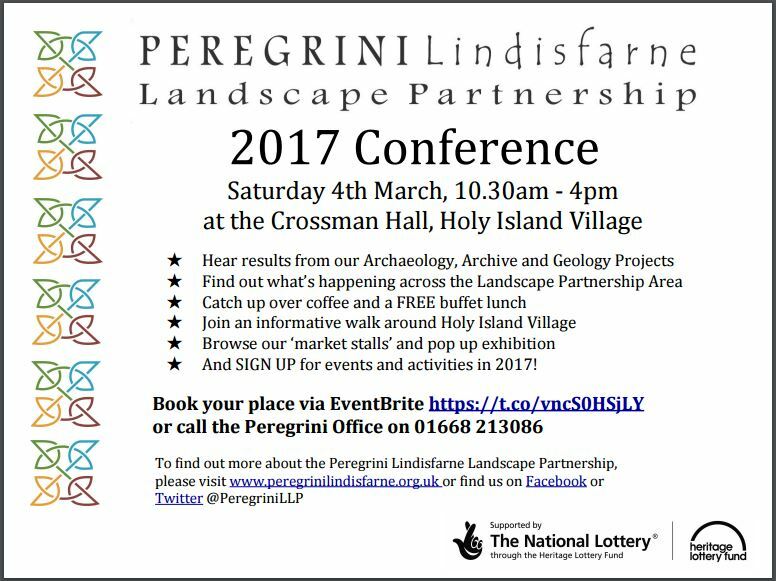 Our landscapes include a review of coastal fieldwork in 2016 as well as the announcements in Yorkshire following from previously covered investigations of ‘Cade’s Road’ (as ‘the bit beyond’) and from Northumberland for the landscapes of the Peregrini Partnership and Hexham Abbey, with a nod to the second Tyne and Wear Heritage Forum’s annual conference in between. We will also be letting you know soon of the details for our main CBA North events this year. 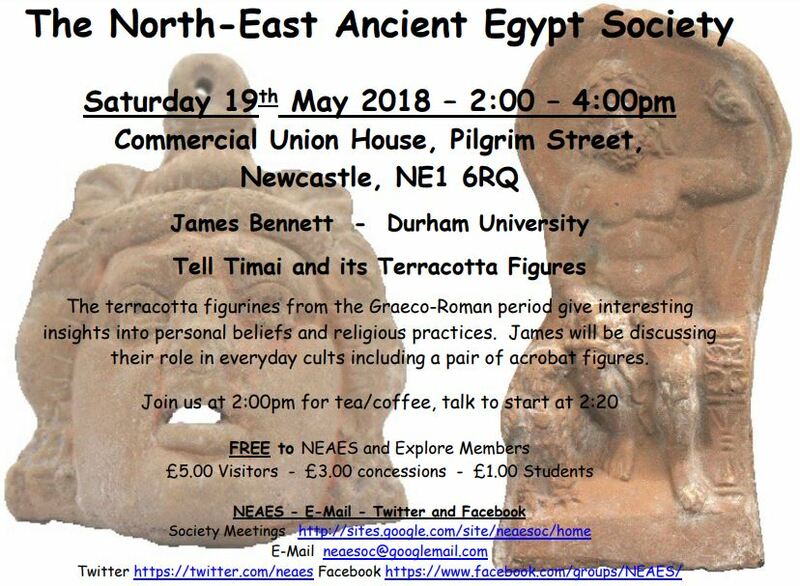 Both are planned to take place in Newcastle with the 29th April confirmed and 20 May to be confirmed; save both of these dates in your diary if you can! We always try to avoid the dates of other similar organisations where we can. Hopefully we will be able to give you more details of these, as well as recent work by the committee on your behalf, to you in our next set of emails. 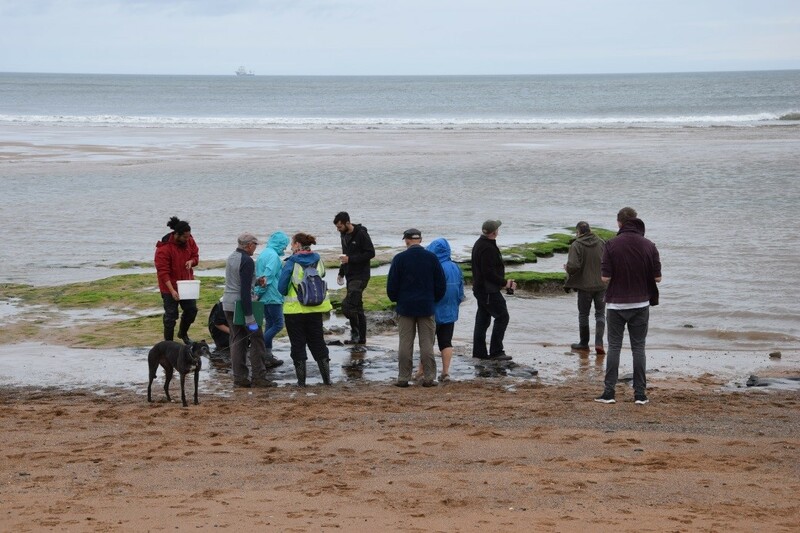 “In 2016 CITiZAN (the Coastal and Inter Tidal Zone Archaeology Network) ran several outreach and training events in CBA North’s region including examining a prehistoric peatshelf on the beach at Blyth, recording post-medieval saltpans in Maryport and surveying the remains of a First World War sea-plane base on Tyneside. As well as being out on the foreshore and the riverside Andy and Megan have spoken at archaeological groups, museums and heritage centres around the region discussing everything coastal. They have also been running introductory sessions with Young Archaeologist Clubs, Duke of Edinburgh groups and Girl Guide troops, introducing the next generation of heritage enthusiasts to coastal and inter-tidal archaeology. Here our youngest trainees learn about the features you find on the foreshore and why it’s important to record them, as well as being told about some the dangers they might face if they venture into the inter-tidal zone unaccompanied. 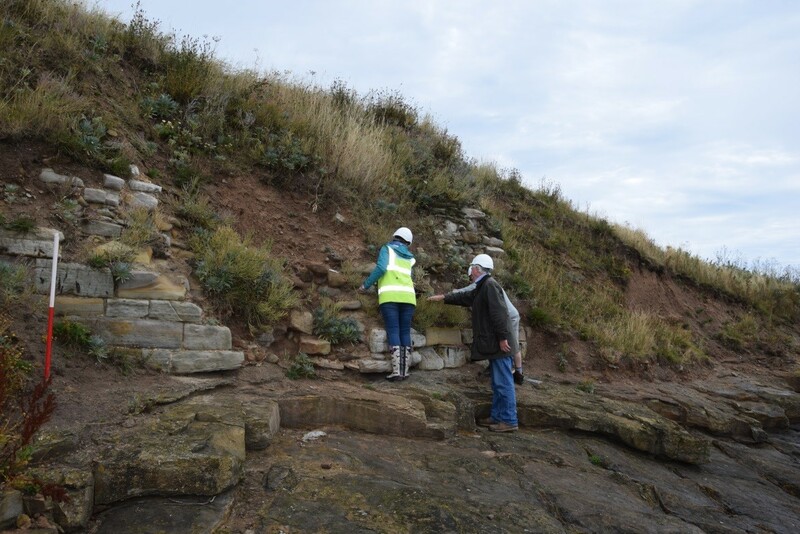 The CITiZAN North team ran a total of ten outreach and training events across Cumbria, Northumberland and Tyneside in 2016. 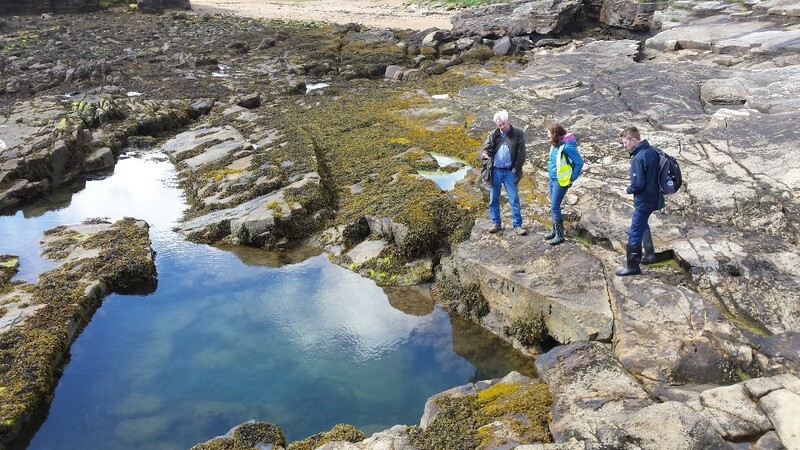 In July CITiZAN North investigated the foreshore along the Howick coast which today is known for its recreational use with coastal footpaths and holiday cottages. In the 19th century the coast was owned by the Grey family and was known for a different sort of recreation. The second Earl Grey (Charles Grey, Prime Minster from 1830-1834) built a bathing house for his children and wife. 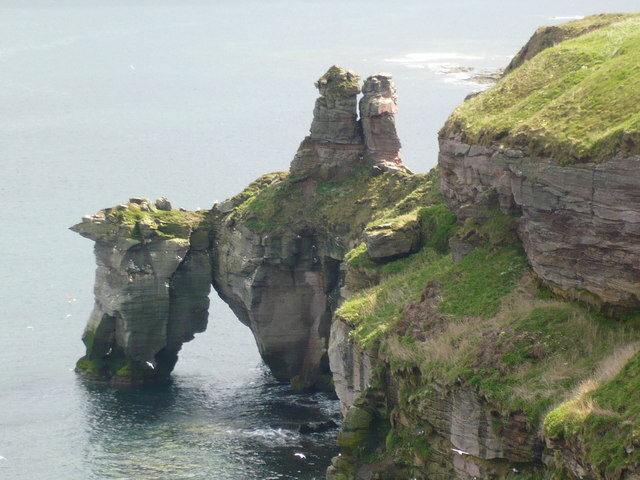 He also had two, small rock-cut pools cut into the foreshore, which would have heated up much quicker than the surrounding sea, for his family to swim in. Earlier in the summer CITiZAN identified a third rock-cut pool a short distance along the coast south of the bathing house that our volunteers helped us record. On a sunnier day in August we investigated the lime processing industry in the Northumberland village of Beadnell. Lime is a versatile product used for a wide range of things from the building industry to agriculture. The material has been processed in Beadnell for hundreds of years with the earliest known kiln having been found on a short promontory known as Ebb’s Nook and archaeomagnetically-dated to c1480-1520 AD. Perhaps the most well-known lime kilns in Beadnell are those constructed in the late-18th century by John Wood and later converted to smoke fish in the 19th century. A short distance north of the harbour is a lime kiln eroding out of the edge of Dell Point, one of four kilns marked on an estate map of 1759. CITiZAN’s volunteers photographed and drew the remains of this kiln preserving it in record before it is fully destroyed by the sea. As part of the training sessions our volunteers are show how to use our app, which can be downloaded on to Apple and Android devices such as smart phones and tablets. 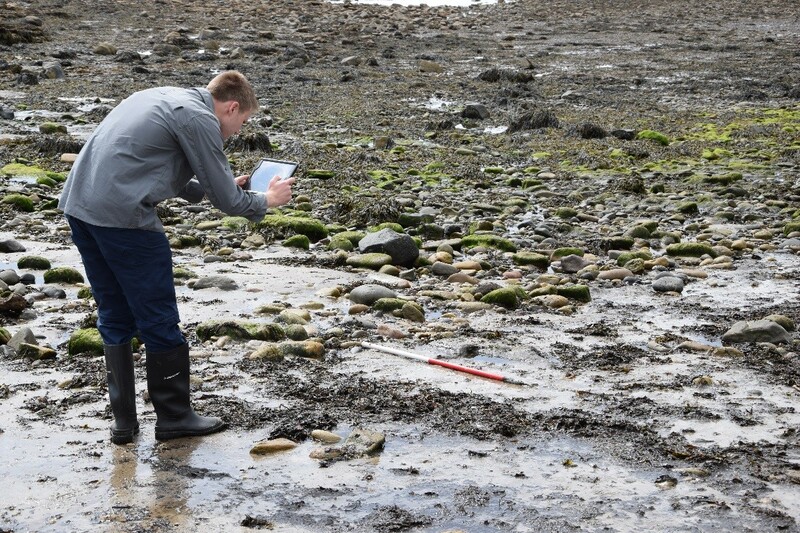 The app enables people to record, photograph and geo-locate archaeological features they find on the foreshore. As well as allowing people to explore our interactive map and discover heritage sites along the English coast. 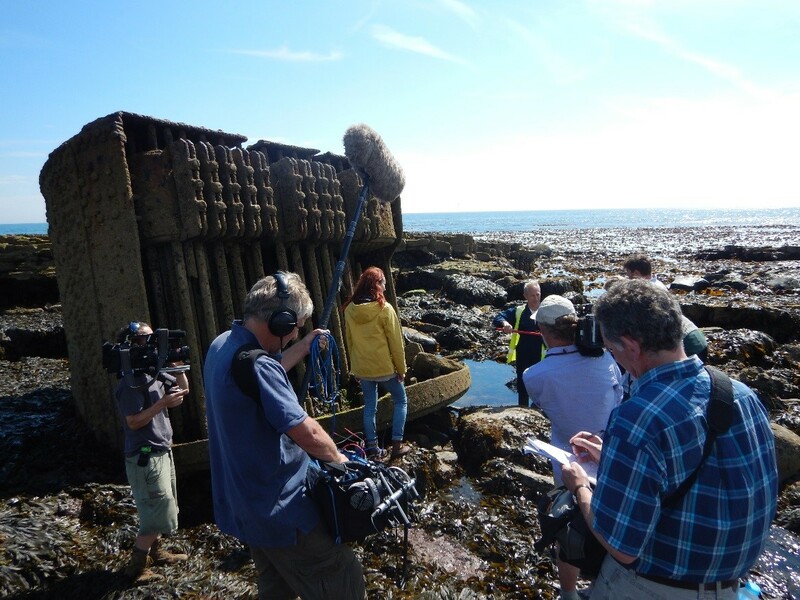 Over the summer CITiZAN filmed three television programmes on the archaeology of the coast for Channel 4. The first of these programmes was filmed along the Northumberland coast featuring heritage sites in Beadnell and Howick including the lime kilns and rock-cut bathing pools mentioned above. The programme also featured the wreck of the early-20th century French fishing trawler the Tadorne. Little remains of the wreck on the foreshore now, although part of the partially salvaged boiler from the trawler can be seen rearing above the jagged rocks of the foreshore at low tide. The three television programmes can still be download from More4 if you would like to watch them. If you are interested in exploring and recording the heritage of England’s coastline you can download our app here. To keep up to date with the exciting events CITiZAN North are hosting around the coast of the north of England visit: this page“. [As a stop-press footnote addition to the review Andy also writes “We’re currently looking at several events in the CBA North’s region and are slowly ironing out the various permissions, timings etc. We’ll keep you updated on progress”. Watch this space for more details, Ed.]. 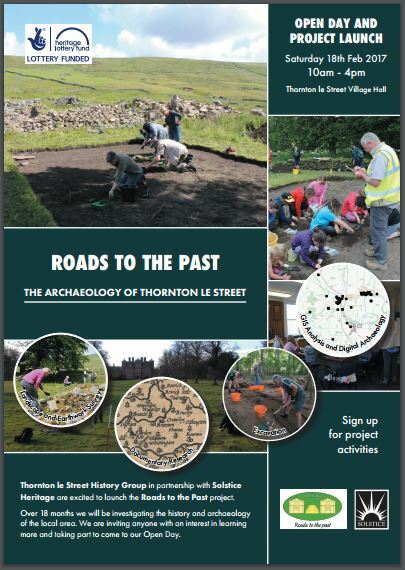 “Thornton le Street History Group are launching their Heritage Lottery Fund supported archaeology and history project with an open day to be held in the village hall on Saturday 18th February between 10.00 am and 4.00 pm. Anyone interested in participating is invited to come along, see what is involved and register their interest. Thornton le Street is a typical Vale of York village with extensive evidence of early occupation. The project will study the history of the village and its surrounding area which contains a substantial Scheduled Monument site, a watermill, a river ford, an early church, and landed estates. Two Roman roads are said to converge at this point and it is hoped to resolve whether the village is Roman or medieval in origin. Jim Brightman of Solstice Heritage, who recently led a community archaeology project at Kiplin Hall in the nearby Vale of Mowbray, will supervise the project which will be of 18 months duration. Training and practical experience will be provided in archaeological fieldwork and historical documentary research. The latest digital recording will be used which will be incorporated into a bespoke website which will be developed by the participants. If you cannot attend on the day, a project synopsis is available on the village website or you can contact John Sheehan on 01609 771878 or at jgsheehan@btinternet.com“. Our Events page has now settled for a while. Though many of the February events have been and gone, there are a few still to come in the regular programmes of the Lunesdale and Teesside Archaeological Societies covering the Neolithic of the northwest, as well as the mysteriously titled Dance of Death. Please let us know any questions, comments or information that you have or want publicising by emailing cbanorth@archaeologyuk.org. We have been emailed the three announcements of more one-off events below which you might be interested in. Versions of these posters, which you can download, if you wish to click the links, circulate yourself to your own group’s members or wish to book up, can be found in our blog and website versions of this email. The download-able version of this poster can be found here. 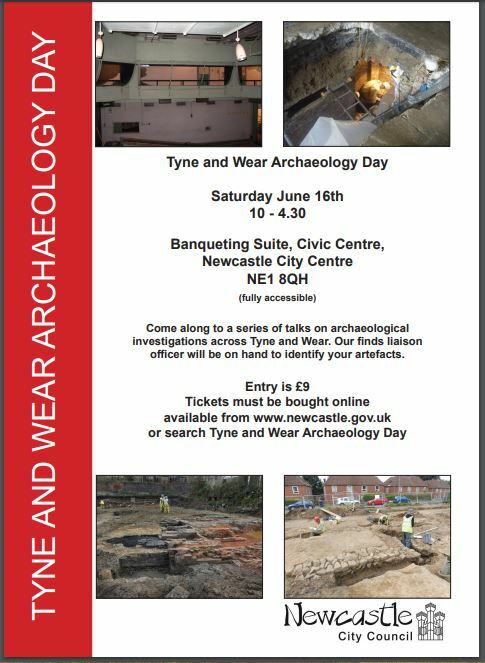 We have been told that the Tyne & Wear Heritage Forum’s event this year will be on Saturday, May 13th 2017, at the Wallsend Memorial Hall. Further information on this day will be available soon. 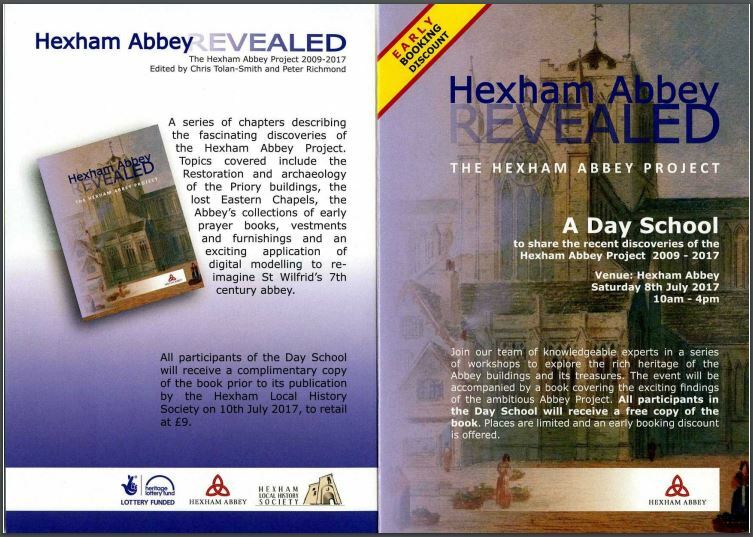 Members will recount that some of our previous AGMs have been held at Hexham which covered plans for further display and interpretation of the buildings of the abbey. Looking further ahead – to July this time. You will notice, however, that there are advantages in planning ahead as an early bird discount (till the end of March) is offered. 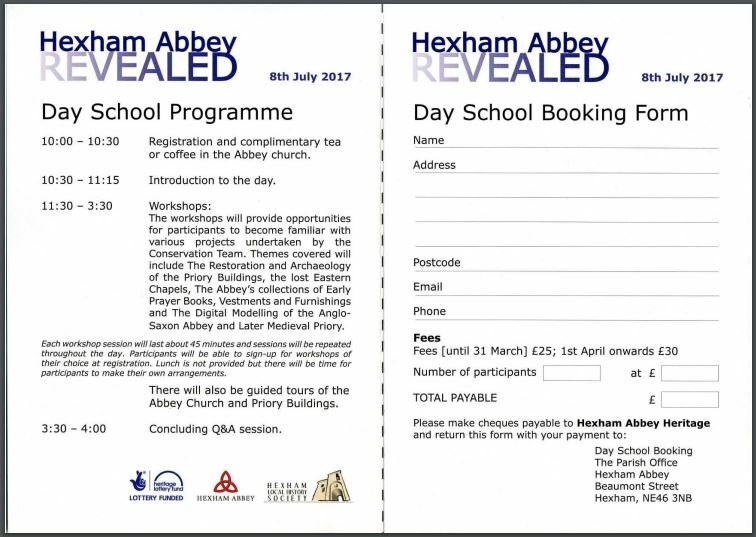 Once again we’ve included a download-able version of this for you – this can be found here as Hexham day school. This includes the booking form on the second page of what is evidently designed to be as a folded leaflet as well. 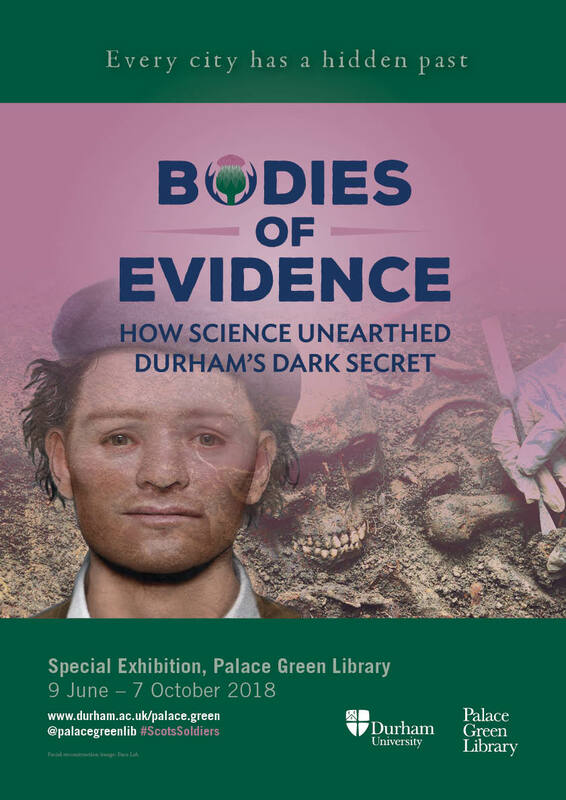 We were sent details of this last event by Chris Tolan-Smith and Jo Shoebridge; please feel free to let us any information that you may want publicising as well. 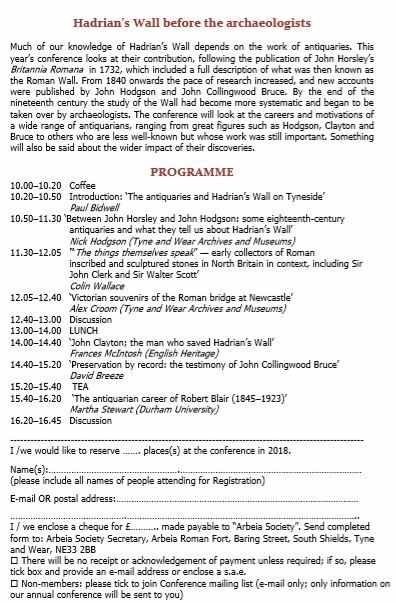 This entry was posted in E Newsletter and tagged CITiZAN, Coastal, conference, Cumbria, Early Medieval, Hexham, industrial, Landscape, Medieval, North Tyneside, North Yorkshire, Northumberland, Post-Medieval, Prehistoric, Roman, Tyne & Wear on February 12, 2017 by cbanorth.